wp1488 wrote: We are discussing something that could possibly by it’s very nature be unknowable. Why is there something and not nothing? Why is there a causeless first cause and not nothing? I know of no way to overcome the infinite regress. The “causeless” first cause is not “unknowable”. It simply is not known by the methods you have restricted yourself to. You, more accurately the “faith” you incorrectly call “science” have defined your own box and then you demand that all that is known fit in that Box. The Creator, God, does not fit in that box you created. He has qualities that exceed your or my capability to fully comprehend, but what we can Know of Him He has revealed. Not “proved” to everyone, but “revealed” to those who seek Him. The God revealed to Moses did not “come to be” from anywhere. He IS. Thats why the Tretragrammaton translates to “I AM” or “”he who causes to exist”. The Creator IS the first cause and if you consider it this is really the only LOGICAL answer. The issue is not “knowing” the unknown, it’s rather a question of whether you have a heart to accept the truth. Debate Series Excerpt No fair using the bible! wp1488 wrote: Quoting bible verses isn’t going to get you any further with me than quoting a harry potter book because you haven’t demonstrated that the bible is true, and I don’t feel the need to treat it as such. The heart is a muscle that pumps blood throughout the body, I use my brain to accept the truth. I’m not claiming it’s unknowable either, I said “could”, vg might perhaps claim that it’s unknowable, I’m not making that claim. I haven’t created a box. You have created a box with the bible and you demand that everything in the universe fit in that box. So much so that you are willing to ignore actual evidence if it doesn’t fit in that box. I’m not ignoring any evidence. I have been a part of your religion, read the entire bible, spent a huge chunk of my life in church and praying. And I can’t say I felt anything, as hard as I tried. So that’s just how it is for me. Your results may vary. You think you know all the answers, and I am holding out, following the evidence and looking for a real answer. Now how am I the one in the box? I never said or implied that you “believed the bible”. Why do you have to believe the Bible in order to read a quote and consider it’s rationality or lack thereof? Once you again you’re in a box. In your box, it’s ok to quote Steven Hawkins and consider carefully his “genius” but it’s not ok to give the Apostle Paul or King David the same courtesy? I was in your box too wp1488, just as you say you were in my box. I was a young atheist, once a upon a time. Sorry you lost your faith but I’m thankful I lost mine. It’s Stephen Hawking and I have given Paul and David the same courtesy as once again I have read the bible and unfortunately have spent more time carefully considering it than any other piece of information. Another way you could say this beempty is that things that ARE designed also APPEAR to be designed. It *could* be that they just “APPEAR” to be designed but it also *could* be because they ARE designed, ergo appearing to be designed is NOT an argument against actually being designed. In fact appearing to be designed may not be in and of itself absolute “proof” of design but it is one strong indication that something IS in fact designed. In my earlier analogy the computer on the distant planet Appears to be designed therefore according to the “watchmaker debunkers” it is NOT designed. Huh? Doh, maybe it appears to be designed because it IS designed? Maybe? Add to the appearance of design other factors such as practical functioning, e.g. the letters display on the screen, or the eyes do indeed process the light waves, the ears do process the sound waves etc. Add also clear logical purpose, a thing is design TO DO something which we can easily rationalize and see. The Holy Spirit by the Apostle Paul is simply saying it should be clear to any honest rational thinker that a thing with these qualities, let alone a universe of full of these things, IS without question a result of design. You don’t have to believe in the Bible to acknowledge that an argument is rational. Romans 1:19 because that which is known about God is evident within them; for God made it evident to them. You know, this kinda “appears” to be designed to me. In fact, could you even DRAW it without significant effort and intelligence, let alone create it? Are you talking about a picture on my screen or the animal itself? 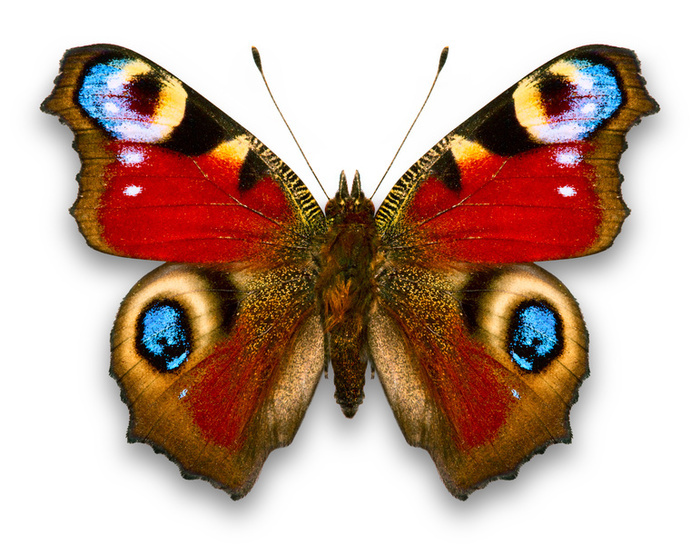 If you’re talking about the actual animal, to me, it “appears” to not be something that was designed, but something that occurred naturally, because every example we have of a living butterfly has occurred naturally. To answer your other question, no I couldn’t draw it and I couldn’t create it either. I can say that the computer appears to be designed, because I know what computers are, I know that every computer I’ve ever experienced has been designed, and I don’t have any evidence that computers are naturally occurring. I can make the comparison between something that is naturally occurring, vs something that is not naturally occurring. I have a frame of reference for it, and you don’t! That is how I can reason that this computer appears to have an intelligent designer rather than coming to be by natural means. Still couldn’t say it with absolute certainty, but would have a good reason to think so. The grain of sand and the ocean are not (for the sake of this discussion) things which we “know” to be designed. However, the watch is. The watch is our frame of reference, because we know – with certainty – that the watch absolutely was designed. We are taking the micro example and comparing it to the macro example. We are extrapolating the similarities in the design mechanics to the universe itself, which is infinitely more complex, and thus requires infinitely more intricate design. The same principles apply. We did not arrive at the conclusion that the watch was designed because of the molecules, but the other way around. But the reason why you know with certainty that the watch was designed is because you have seen other watches and all of those watches have, to your knowledge, been engineered by people. NOT because of the complexity of the watch or by contrasting it with surrounding nature. That’s the point I’m making. OK, be, you’re using a watch that you know is designed as your frame of reference. You’re going to determine things that are not designed vs things that are designed by comparing them to this watch. You pick up a grain of sand. Since complexity is the method you’re choosing to use to determine design vs non-design, the grain of sand is far less complex than a watch is, even on a molecular level. You’d come to the conclusion that the sand is not designed, like the watch is, right? If it’s not complexity, because it couldn’t be, then on what basis would you compare the watch to a sand grain to determine that the sand grain was also designed like the watch is?